Just when you thought it was safe to poke your head up, there’s another volley from the rush of releases out of BaselWorld. To be fair, this one was released during the show, we just had a crush of things to get through. And, you know, good things come to those who wait. 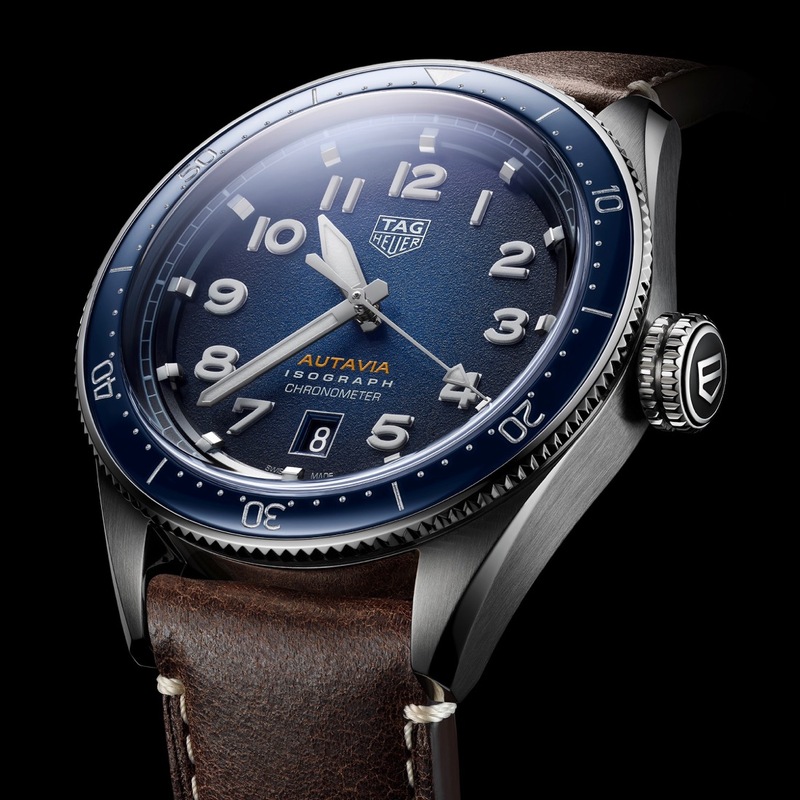 So, let’s take our time and savor the news about the TAG Heuer Autavia Isograph. You might be surprised to see TAG Heuer on the pages here, as we tend to focus on the more affordable end of the spectrum. Well, we also like to dip our toes in the water of more aspirational pieces, particularly if they come with something interesting. That is definitely the category that the TAG Heuer Autavia Isograph falls into, for me. At first glance, you might say, well, what’s so special about this three-hander? For me, it’s precisely because the TAG Heuer Autavia Isograph is a three-hander, and comes on a rather nice bracelet. I’ve just never gotten into the look of their Link collection bracelets, and the other focus on chronographs (which makes sense given the brand’s history) just does not click for me. On the other hand, this new Autavia is all sorts of appealing for me. First, a quick review of the history of the Autavia name. For 24 years (until 1957), the Autavia was a dashboard-mounted instruments that showed up in both cars and airplanes (mash up automobile and aviation, and you get Autavia). After that production ceased, the name was freed up, and quickly was attached to the chronograph the brand started producing in 1962, and made continuously until 1985. That’s where the family line stopped, though it lived on in memory and the secondary market. Well, now Autavia is back, complete with a propeller and steering wheel on the case back to mark the origins of the name. On the dial side of the TAG Heuer Autavia Isograph, there’s not – at first glance – a whole lot to denote a high-speed heritage. As I was studying the photos of the dial, I was at first bothered by the fact that the date window removed the 6 o’clock marker, as those high, 3D indices look lovely (and, one presumes, glow like crazy). On further reflection, I realized that it gives the overall dial that retrograde look that you’d have on a dashboard gauge, say a tachometer. Once I saw that subtle nod, my tune changed. That’s a “hidden” detail of the dial to enjoy. Past that, you’ve got a lovely pebbled texture, stepped indices up on the chapter ring, and an overall crisp and clean look. I find myself partial to the blue variant in steel, but the bronze one with the green dial would be a close second, for sure. As we well know, good looks aren’t all us watch folks look for, particularly in the higher end show releases. We want something technically interesting coming along for the ride as well. That’s where the last part of the watches name, Isograph, comes in. Tucked into the 42mm case is the Caliber 5 movement, paired with carbon-composite hairspring. Can’t let the crew over at Swatch Group be the only ones with interesting spring technology, right? Here, this spring (and look at the photos) look both familiar and strange. Familiar, as it looks like any other spring, but strange due to the collet built in to it (the part at the center of the spring). Being made of this carbon composite material, you’ve got a very precise oscillation. It’s light and low density (more resistance to the effects of gravity and shock) and being non-ferrous, it’s anti-magnetic. IE, all the sorts of stuff you want for precision, and why the watch itself carries the chronometer certification. There’s one more trick up the TAG Heuer Autavia Isograph’s sleeve (and under yours). The watch has itself a quick-change mechanism for the straps. That’s nothing new, except in some other photos I’ve seen of it in action. Rather than relying on the spring bars, there are instead buttons on the case that work to allow the quick change. Unfortunately, the press pack doesn’t have these photos, but go look for some hands-on from the show to see it in action. What I’d change: The dark date wheel works, but color-matching it (or even color-contrasting it) could be interesting. The best thing about it: I just really like the look of those raised, lumed numerals. It’s almost as if they’re extruding themselves from the dial.